Sega Europe has named Chris Bergstresser to replace the outgoing Jurgen Post as President and COO, according to GameIndustry.biz. 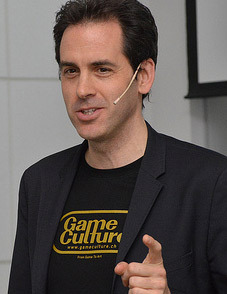 Bergstresser is no stranger to the gaming industry or to SEGA. He previously worked for SEGA in 1991 and has since worked for other gaming companies including Konami and Atari. From Sega’s European HQ in London, Bergstresser will oversee SEGA’s five Western studios: Creative Assembly, Sports Interactive, Hardlight, Relic and Amplitud. Bergstresser already looks prepared for a well-rehearsed press conference, no?